You’re a professional hypnotist with a growing list of clients. Every time you give a session, your confidence and enthusiasm grows. You’re finding your feet in a big way, and it feels amazing to be able to use your skills to help people improve various aspects of their lives. But then, just when everything seems to be going so well, you hit a brick wall. A client comes along with an issue you know you can help them resolve. Maybe you’ve had success with the issue before, or maybe it’s just something you feel completely comfortable dealing with. But try as you might, it just isn’t happening. No matter what you do, you can’t get them to respond. You can’t put them in a trance. You can’t work your magic like you normally do. You’re failing, and your client lets you know it. They come back for a second session, hoping things will improve, and all too eager to share their doubts and reservations with you. 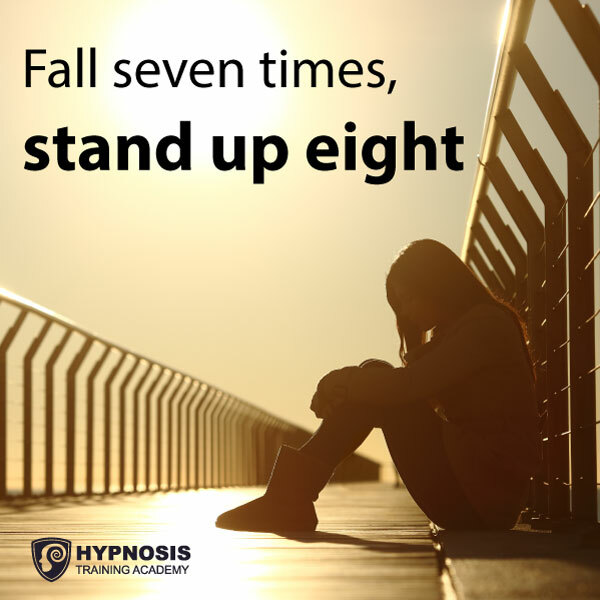 Here are some suggestions on how you can overcome hypnosis failure and gradually turn things around. Whatever your client tells you, they’re right. If they tell you it hasn’t worked, then you have to accept that. But don’t just leave it at that and give in. There are plenty of things you can do to find out what went wrong. Does the client have doubts about your abilities as a hypnotist? Do they have doubts about hypnosis in general? Do they really want to change? It sometimes happens that people come to a hypnotist with the wrong kind of motivation. In some cases they turn up because they’ve been forced to go. Or perhaps they’ve tried everything else they can think of and they see hypnosis as their last hope. There are lots of problems with these motives. If they’ve been forced to attend, then there’s no real desire on their part to change. They’re doing it to please other people, and just turning up means they’re holding up at least part of their side of the bargain. Likewise, if they don’t really want to change, there’s nothing you can do to make them. They’ll be like a dog with a bone, and the more you try to tug that bone away, the tighter they hold on. If you suspect either of these scenarios – which you can find out by asking them – then stop what you’re doing. Tell the client that they have no chance of success unless they personally want to change. Then ask them to come back when they’ve made up their mind and are certain they want to use hypnosis to resolve the issue. Give them the facts, state the reality of the situation, and invite them to return when they feel ready to take the next step. Of course, it isn’t a question of blame. It’s not the client’s fault and it’s not your fault. It’s more likely a combination of the two. Being a professional, you won’t take it lying down. You won’t simply dismiss it as a bad experience and move on. You’ll take positive steps to make sure it doesn’t happen again. Analyse your session. What techniques did you use? What other approaches could you take? Do you need to review the technique to make sure you’ve got it spot on? Do some research. Get in touch with other hypnotists in your professional network. Pick their brains and find out how they might deal with a similar situation. Ask for help. 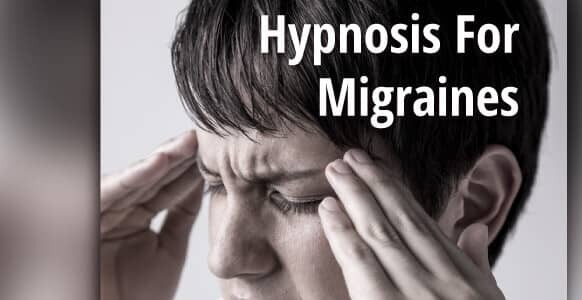 Visit forums and Facebook groups to chat with hypnotists and hypnotherapists about the issue. Remember that whatever you’re going through, someone else has gone through it before you. So use this as an opportunity to discover as many possible options and approaches as you can. Whenever anything gets out of hand or it seems like you’re losing control, it’s always best to pare it right back. Go back to the basics of hypnosis and make sure you’re not overcomplicating things. In the next session, tell your client that there are techniques you can use that will prove they can be hypnotized. Explain that these techniques are extremely effective at bypassing the critical factor, for people who might tend to overthink the process instead of simply letting it happen. There are three main actions or responses people can experience during any hypnosis session. At this stage, you’re dealing with the client on a conscious level. It can cause problems, obviously because they are conscious, but also because they might be hesitant to participate. The word “voluntary” tells you everything. You want them to do things voluntarily based on your questions, instructions or suggestions. This is an important phase in the process because it gives you the chance to create the “Yes” mind and test the client for compliance. Once you’ve got them voluntarily responding to you, it opens the door for those all-important unconscious responses to take place. Can you pass me that pen/paper/book? The trick is that, if your client does what you ask or suggest, it means they’re probably going to be easy to work with. It means they’re probably going to be pliable and make a good hypnotic subject. That’s why this first stage, which might seem frivolous on one level, serves a valuable purpose for you as a hypnotist. Also remember that if a client has resisted your attempts in a previous session, this step really takes things as far back to basics as it’s possible to go. Get them to respond at this stage and there’s a chance you can take them further than you’ve been able to in the past. Non-voluntary responses are the things that happen at the beginning of the trance phase. Because they’re non-voluntary, they’re being driven by the unconscious mind. Catalepsy – lack of movement in any part of the body. This could take the form of an arm suspended in the air, or it could show up as a complete lack of body movement. In other words, the person is keeping absolutely still. Magnetic Hands – this is an induction where the person’s hands come together following your suggestions. They’ll feel like the hands are being pulled together as if they’re like two magnets being irresistibly drawn towards each other. Sleepy Eyes – this is another induction technique where you get the client to focus on a spot on the wall, for example. 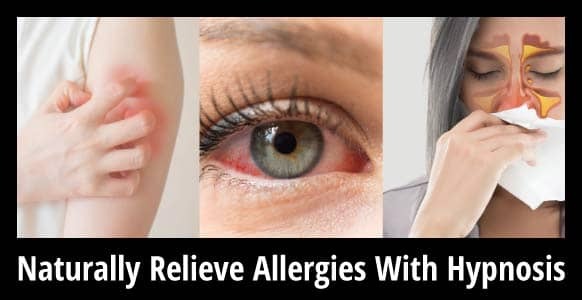 The longer they do this, the more tired their eyes become, and eventually you suggest that they close them. As you can tell, these responses are not under the client’s control. They’re non-voluntary, which means they’re being activated by the unconscious. In other words, hypnotic phenomena are taking place. For most people this is a pleasant experience, so they’ll be likely to go with the flow and let it happen. At this stage you’re getting to the good stuff. You can prove to your client that hypnosis is taking place because, when they try to do something, they have no control over their response. You should remember as a hypnotist that losing control can be scary for some people, especially if they’re new to hypnosis. It might be wise to reassure them that this is all part of what happens during hypnosis, and possibly even congratulate them on doing it so well. 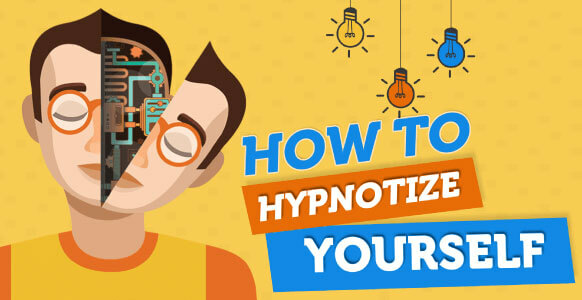 You’ve probably seen stage hypnotists do these kinds of things. They tell their participant they’ll be unable to remember a number. They they’ll ask them to count objects and, when the participant gets to 7, he or she will skip it and jump straight on to the number 8. If your first session with a client didn’t work out according to plan, then it’s likely that they didn’t respond in the way that you’d hoped or expected. 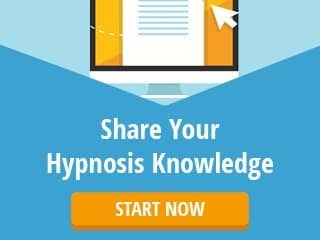 These simple techniques will give you more ammunition to elicit responses and build on those until it’s obvious – to both of you – that hypnosis is taking place. So you’ve done your homework, come up with alternatives, and now you’re ready to work with your client again. That’s a perfectly sensible way to approach it, but there’s something else you also need to be aware of. Suppose, for instance, you’ve done all this work and for some reason the client is still resisting. What can you do when that happens? The main thing is not to panic. Remember that hypnosis is a form of communication, so you should extend that communication to include every possible angle. Talk to your client and get feedback on what you’re doing. That gives you the opportunity to make changes on the fly. To tweak your techniques this way and that until they get results. If you’ve done enough research, you should be armed with several possibilities you can bring into play at every stage. Have you ever taken your car to a garage with an unusual fault? A door that won’t stay locked, or a light that keeps turning on and off intermittently? Those things happen, and it’s not always possible for the mechanic to find the problem. But even if they can’t, they don’t pack up their toolbox and look for a new career. They just accept the fact that sometimes, under certain conditions, things just don’t work out. You have to approach your hypnosis sessions with the same stoic attitude. If you’ve tried everything and you’re not making progress, sit down with your client and try to figure out why. There’s no such thing as too much feedback. Let’s face it, something your client tells you could prevent the same thing from happening with someone else in the future. Or it could motivate you to do additional research until you find the solution. So be brave, take it on the chin, and find out everything you can. Ask for feedback – although it’s a small minority, some people just won’t allow themselves to be hypnotized due to fear. They’re just not ready to face their issue(s) yet. Maybe that’s the situation here. Or it might be that you’re not the right person for the job. Either way it’s not the end of the world, so just chalk it up to experience. Offer them a free session – ask them to come back when you’ve had a chance to review what you’ve learned. Explain that you really want to try to help them and that you’d like to try some different techniques. Whatever you do, let them know that what’s happened is just fine. You don’t ever want a client to leave feeling bad and blaming themselves for the failure of the session. Offer them a referral – refer them to another hypnotist or hypnotherapist who’s been particularly successful with their kind of issue. It might be that you and the client aren’t a good fit, and another person doing the exact same things might be all the client needs to succeed. 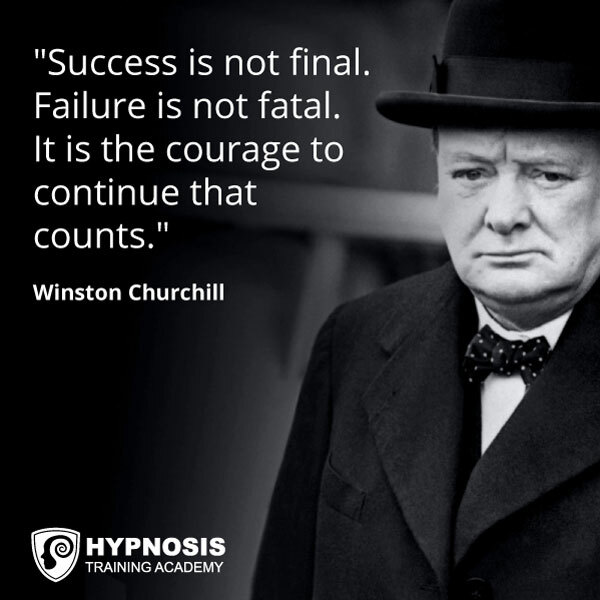 As a hypnotist, you’re constantly learning. Learning your craft from every session, and learning from every person you deal with. No two people are exactly alike, even if they’re identical twins, which means there’s a lot for you to know. Remember, however, that you don’t have to do it alone. By all means use your client’s feedback as a starting point. Study it often to figure out what went wrong or what you could have done differently. And then, tap into your professional network. Whatever stage you’re at, there will always be someone who’s been there, done it, and maybe even written a book about it. Let them know that you need help and advice. Get their opinions and ask them what you can do to improve in the future. 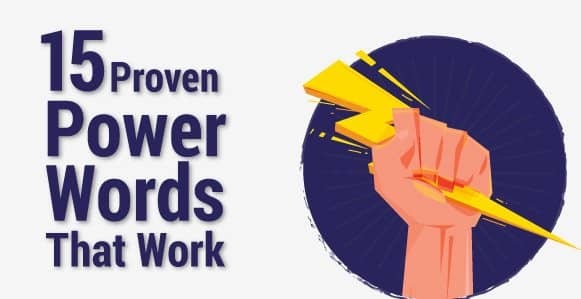 Every suggestion, no matter how small, will become part of your toolkit, meaning you’ll have more and more skills at your disposal whenever you need them. Things go wrong in every profession. Like the car mechanic, it’s not always possible to succeed. Not because of your ability or experience, but often because of factors that are beyond your control. 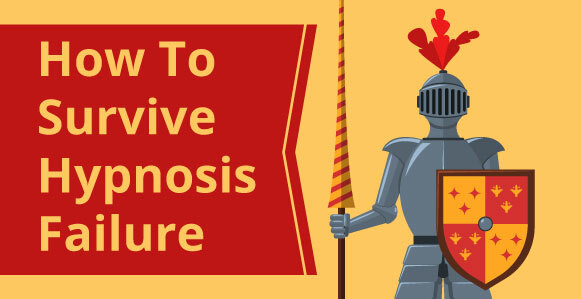 What is hypnosis failure anyway? It’s just a reminder that you need to learn more. It’s not the end of the road, it’s just another bend you have to negotiate. The secret is to keep going and not be tempted to pull over, sell your car, turn around and start walking back the way you came. Also remember that sometimes people won’t allow themselves to be hypnotized. There are lots of reasons why this can happen. Maybe you remind them of someone they don’t particularly like. Or maybe they’ve had a bad experience with another kind of therapy. Or maybe they just don’t like being told what to do, even if it’s in the mildest and gentlest way possible. Or perhaps they don’t really want to change and are just going through the motions in an attempt to please someone else. People can’t be put into boxes, because there would need to be a box for every single one of them. When you hear the phrase “everyone is different” it’s not a cliché. It’s an aphorism, an observation based on a general truth. People really are all different, and they might all react in a slightly different way to what you’re doing. So you can’t expect the same techniques to necessarily work in exactly the same way on each one of them. Of course, the problem might be that you need more experience. However good you are at what you do, there’s always room for growth. Being a professional hypnotist by definition means that you know your trade inside out and backwards. You need to be prepared to learn, to study, to tweak and fine tune your techniques until they’re the best they can possibly be. And just imagine how you’ll feel when you’ve finally succeeded with that client – or with one very similar.